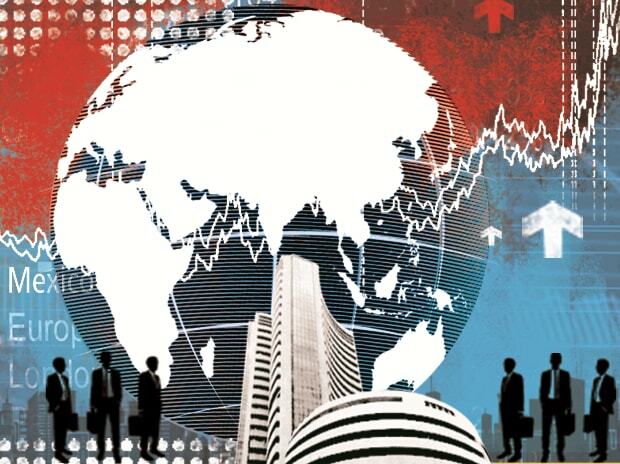 A reversal in stance by the US Federal Reserve regarding interest rate hikes boosted equity markets on Thursday, with the benchmark Sensex climbing nearly 2 per cent — its most in three months. The Federal Open Market Committee (FOMC) kept policy rates unchanged and indicated that the interest rate increase was on hold amid concerns over global economic growth. The decision triggered a wave of buying across global equities, starting with Wall Street where the Dow Jones surged 1.8 per cent on Wednesday to end at a two-month high. Most Asian and European markets witnessed upbeat trading on Thursday. The Sensex ended at 36,257, up 665 points or 1.87 per cent — the most since October 29. The Nifty closed at 10,831, up 179 points or 1.68 per cent — its most since December 12. The rupee ended at 71.09, compared to its previous close of 71.13. The yield on the 10-year government bond softened to 7.28 per cent from 7.32 per cent a day ago. “The Fed’s first meeting of 2019 proved to be an eventful one, with the FOMC delivering a meaningfully dovish statement, while, at the same time, taking a step towards an early end to balance sheet normalisation,” Morgan Stanley said in a note. The yield on the 10-year US Treasury fell to 2.66 per cent from 2.69 per cent, while the Dollar Index weakened further. Typically, a decline in the US yields and dollar boosts investors’ appetite for riskier assets. On Thursday, overseas investors bought shares worth Rs 3,000 crore, their highest single-day purchase since March 2018. Domestic investors, on the other hand, offloaded shares worth Rs 1,634 crore, the most since July 2018. The sharp gains in the domestic markets come a day ahead of the Union Budget, in which the Centre is expected to announce slew of populist measures to help farmers, small businesses and taxpayers. Market experts said investors will keep an eye on the fiscal math in the Budget. “The FY19 Budget math is tricky, but we expect the fiscal deficit target of 3.3 per cent of GDP to be met. There are risks of slippage due to a shortfall in GST, excise and income tax revenues, as well as spectrum sale proceeds,” said a note by HSBC. While investors maintained a cautious stance ahead of the Budget, experts said short-covering, amid expiry of the derivatives series contracts, provided ammunition for the markets to rally. Four out of five stocks in the Sensex and Nifty ended with gains. Reliance Industries, HDFC Bank and Infosys accounted for nearly half of Sensex gains. The optimism in the broader market was relatively subdued, with 1,421 advancing and 1,143 declining on the BSE. The Fed boost has come at a time when investor sentiment in the domestic market has been weak, as a sell-off in Zee group stocks has put the limelight on high pledged shares as well as rising debt levels of corporates. Market players said the market trajectory will be guided by announcements in the Budget, and corporate earnings. Domestic markets will be supported if global equities continue to gain from the Fed’s dovish stance, they added.